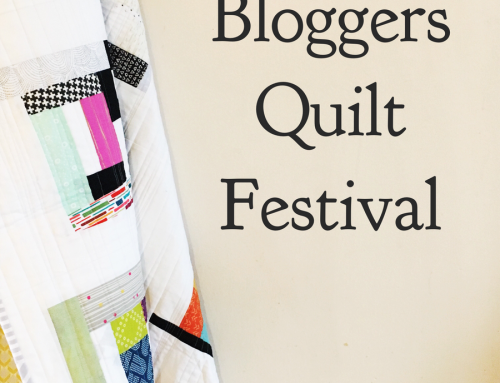 Bloggers’ Quilt Festival – Vote Now! Hi friends! That took a bit longer than I intended! You can still vote for Viewer’s Choice quilts, by visiting the Festival post. If the option to vote is no longer there – you voted already! Below is each of the 15 categories, I have included the top 5 nominations, in some cases there was a tie for #5 and I included those as well. You have one vote per category, you may click over to read the post prior to voting if you like as well. Some quilts have been nominated in multiple categories, however they will only win in one category. The winner of the Favorite Baby Quilt category, will win a fat quarter bundle of Mod Squad from Fabricworm! The winner of the Favorite Throw Quilt category, will win a $50 Gift Certificate from Fat Quarter Shop! The winner of the Favorite Bed Quilt category, will win a $50 Gift Certificate from Fat Quarter Shop! The winner of the Favorite Group/Bee Quilt category, will win a Fat Quarterly subscription from the crew at Fat Quarterly! The winner of the Favorite Two Color Quilt category, will win a Quilt Journal, a set of Note Cards, and an Eco Tote from Pattern Spot! The winner of the Favorite ROYGBIV (color wheel) Quilt category, will win a $50 Gift Certificate from Fat Quarter Shop! The winner of the Favorite Applique Quilt category, will win a Moda Layer Cake from Piece N Quilt! 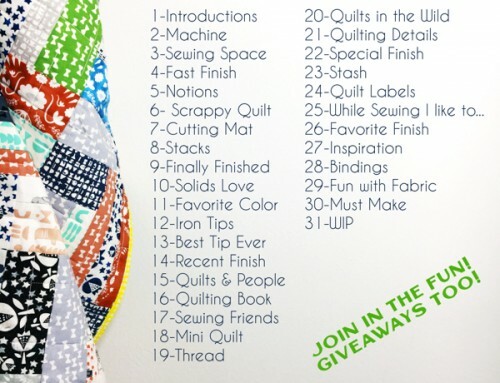 The winner of the Favorite Pieced Quilt category, will win a Thread Kit from Aurifil! The winner of the Favorite Hand Quilted Quilt category, will win a $50 Gift Certificate from Martingale! The winner of the Favorite Home Machine Quilted Quilt category, will win a bundle of A Walk in the Woodsfrom JAQS Fabrics! The winner of the Favorite Professionally Quilted Quilt category, will win a Trace ‘N Create Quilt Template-Dresden Collection and a Trace ‘N Create Quilt Template-Lone Star Collection from Nancy Zieman! The winner of the Favorite Quilt Photographer category, will win a $40 Gift Certificate from Canton Village Quilt Works! The winner of the Favorite Art Quilt category, will win a $50 Gift Certificate from Martingale! The winner of the Favorite Doll/Mini Quilt category, will win a 1 year membership to The Quilt Show from This-N-That Fabrics! The winner of the Favorite Wall Hanging category, will win a Beginner Combo Kit from Day Style Designs Quilt Shop! Those of you not nominated still have a chance to win from these fabulous sponsors! Voting will remain open until midnight, May 31, 2012 - Good Luck! it looks like the favorite home machine and professionally machine quilted might have been mixed up a bit. 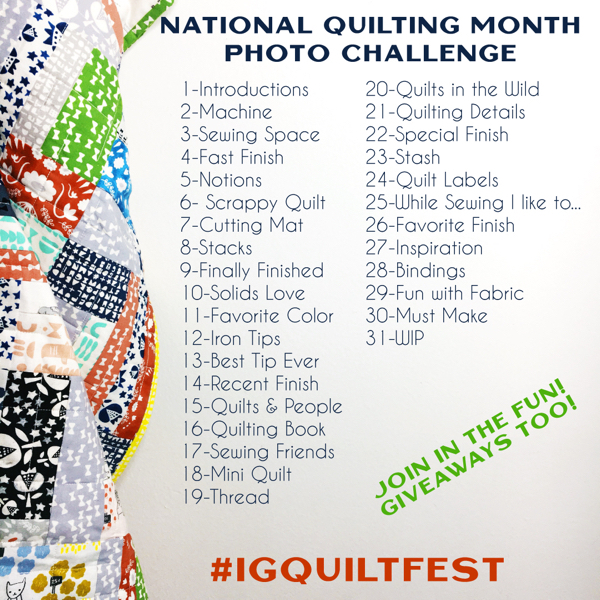 Seriously though, this looks like it was so much work to put together, thanks for doing it for us quilt bloggers. I agree! But decided to go with the nominations. I’m making notes for improvements next year! Great job, Amy!! Thoroughly enjoyed the show yet again!! It looks like your Professionally Quilted and Home Machine Quilted categories have the exact same quilts… I’m going to hold off on voting there. Such a tough decision! Thanks for everything, Amy! so excited to be included! Thank you so much for the festival – it has been a blast! thanks for putting this together Amy – one thing for next time you might want to encourage people to put in their blog post how big the quilt is, how it was quilted and if they did it themselves – there were a lot that I couldn’t figure out what size they were and even if it was hand quilted or machine quilted. This sure took a lot of work on your part and want you to know how much we all enjoy it. A huge THANK YOU to you, Amy, for doing all the work to have this Festival. I enjoyed peeking at all the blogs and seeing such amazing work by wonderful people. Thank you for all your hard work in organizing this – so many stunning entrants from around the world. This truly was better than Quilt Market – these are the people who ARE the quilt industry! Thanks for all of the hard work! The festival is fantastic. EXCELLENT!!! I hadn’t even noticed the voting part … so thrilled to be nominated and embarrassed that I didn’t nominate any others … but it’s a great idea and I will so pay a lot more attention next time! Amy … thanks again for the semi-annual quilt fest … it is really great to see the best work put forward by so many people who simply love the craft and may not get the visibility that the ‘top’ quilters get … you’re the best! thank you so much for hosting this. What a lot of work, but what a great opportunity to see so many quilts and great projects! Thanks for all you hard work Amy! It was another wonderful festival! Thanks for organising this Amy. I am absolutely blown away to have our quilt included in this great selection of quilts – and so glad to have the honor of participating in the Festival each year! I cannot imagine how much work this is for you – and truly appreciate all you do to make it possible!! Thanks, Amy!! Thank you so much! This was my first time and I’ve been nominated. I’m so flattered! Thanks for organizing and for all the hard work! Wonderful quilts that have been nominated! Thank you, Amy, for an awesome week of quilts! And congrats to all those who were nominated! Such a lovely selection of quilts. It was very hard to choose just one in each category. Thanks for a great show, Amy! I sent Lori (SewFrench) a congratulatory email that she had made 4 categories with her bubble quilt (she is traveling and had no idea). She was worried that votes for her would be split 4 ways, but I told her that didn’t seem to be an issue since each category is separated in voting. She is VERY thrilled and overwhelmed! From the first time I discovered your online quilt festival, I’ve been a fan. I love seeing all the different kinds of quilts and designs and color combinations — all of it. Adding the contests this year offered a step-up to another level for participants and for you too, I bet. I love the thrill of this added element and how it motivates us to do our best. Thanks for BQF -2012! Lovely quilts. I have just voted for my favourite ones. Thanks for organising the festival Amy. Enjoyed the festival! Congratulations to the nominees! Thanks for all your hard work, Amy! The tremendous amount of work you put into this and everything you do for us!! Thanks for a wonderful quilt show. 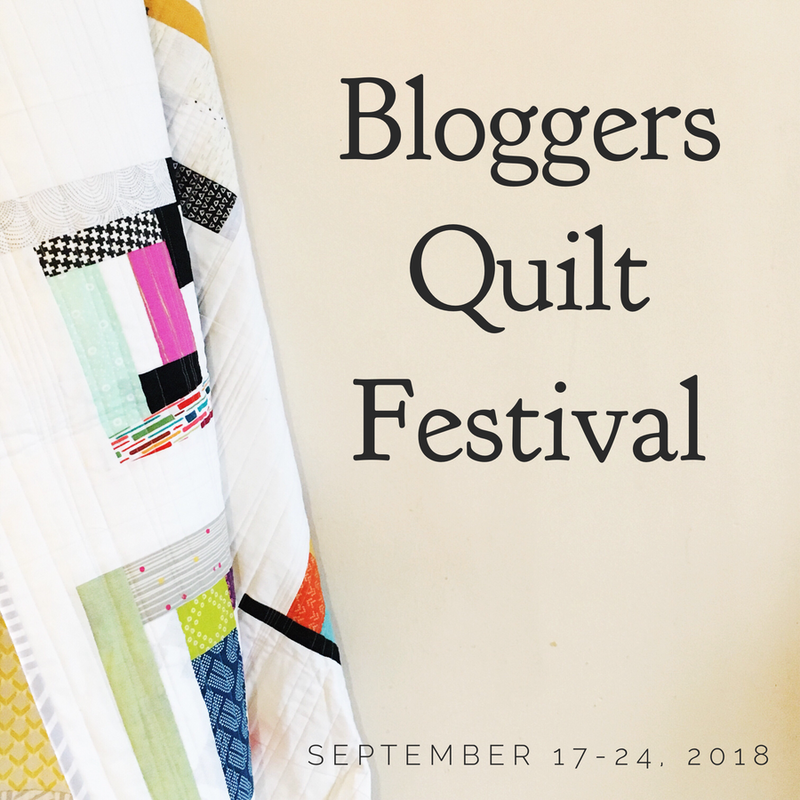 This was my first time entering a quilt into the Bloger’s Quilt Festival, so I am totally thrilled to be nominated in the home machine quilted category! Thanks must go to Amy for all the work she puts into organising this, and to anyone who might have nominated my quilt! Better go now before I run out of exclamation marks! This had to have been a ton of work! It was time consuming just to nominate quilts! 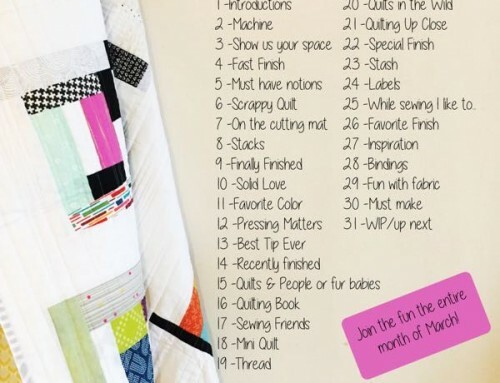 Thanks for doing this Amy, I am REALLY enjoying learning more about so many great quilts and quilters! Thanks for organizing this festival Amy!! It’s been a lot of fun!! Thanks for being such a gracious host and I think we all appreciate the exposure. I still haven’t made it all the way through ALL the entries, my google reader is busting at the seams from all the new blogs I am following! This is my second year participating in the Festival, and I don’t even care that I’m not one of the finalists! LOL It was so much fun and so inspiring….thank you so much Amy, for the investment of time that it must have required! What fun to look forward to BQF 2013!! Thanks again Amy! It was a wonderful surprise to be nominated but most of all – the many wonderful comments I received. I’m so happy to be a part of something so positive and inspiring. I learned how to quilt by reading blogs and hope my little piece of the pie inspires others the way it did me. What amazing talent out in blogland! The quilts are simply stunning. Thank you Amy for all the work involved – excited to see the results – but all are worthy winners. An amazing selection, Amy, thank you! I really enjoyed voting and looking through the pictures! Thank you for a wonderful walk among the awsome quilts. It was not easy to vote as every quilt was so good. A beautiful selection of quilts there Amy! Cocoa the donkey is thrilled to be included in the mix!! Thanks for all your hard work. So many beautiful quilts, thank you so much Amy for all of your hard work. I’m so inspired. Thank you, Amy for all the hard work of putting this together for us. Love the inspiration and blogs found here. Each one is better and better. Congrats to all the nominees. Hi Amy, I was confused with the nominations too. I think it would be good if you wrote a reminder in the description in the beginning of the festival that everyone who enters should put the stats with the blog post so people can see what size the quilt is. A lot of times I couldn’t decide if it was a wall hanging, a throw, or a bed size quilt. Thank you so much for your hard work, it was so much fun and very inspiring! Thank you, Amy for putting this festival together. I can not begin to imagine the hard work and long hours that are involved. I don’t know what to say except that I am honored and humbled to be included among these most talented quilters.. Thank you *all* who nominated me!!!! Thanks for the huge effort to put together this amazing festival. This was the first time I happened upon the festival, and am so glad I did. Seeing all the gorgeous work and reading the often inspiring stories that accompanied the quilts was a real treat. Amy thank you for all your hard work putting together the festival! And thanks to everybody who voted for my quilts – wow what an unexpected honor to be nominated! Wow, Amy, what a lot of work! Every quilt is a winner and it is really hard to choose. Congrats on another fabulous BQF! Great quilts. Enjoyed voting for my favourites. What a lot of work to organise this, Amy! Well done! Amy you have done an amazing job with this quilt festival. The amount of work you have done with all the nominating and voting is amanzing. Thank you for such a fun event here in blogland. WOW!!! So many beautiful quilts! It’s so hard to choose!!!! Gorgeous quilts!!!! Fantastic nominations!!!!! Congrats to everyone nominated and good luck to all the rest!! I have thoroughly enjoyed this quilt festival. So many wonderful quilts. Congratulations to all the nominees – good luck! Thanks Amy. This is certainly a lot of time organising! So Much work and so many lovely quilts. And yes like Karen says earlier in the comments, the suggestion for those who enter to include the quilt size and other details in their description. This was my first time entering and I did not even think of those things… Next Year! And Thank you for all your work! What an amazing array of talent shown here-I found it very difficult to pick a favorite in all of the categories. You have done a terrific job with this and what an amazing amount of work you have done/do! Thank you for this and to all of the sponsors who make donations for prizes. I am blown away by all of the talent out there in blogland and it was delightful to see a lot of it in one place. Amy, thanks for all your hard work! I’m so glad my friend told me about your festival. I’ve found several new bloggers to follow and have seen more eye candy this week than I think I saw all of last year in total! So many fun and inspiring techniques and tutorials I hardly know what to do next. It makes all my UFOs look so boring that I just want to start a bunch of new things, LOL! Wow, great quilts. I’m new to the quilt festival and blogging. 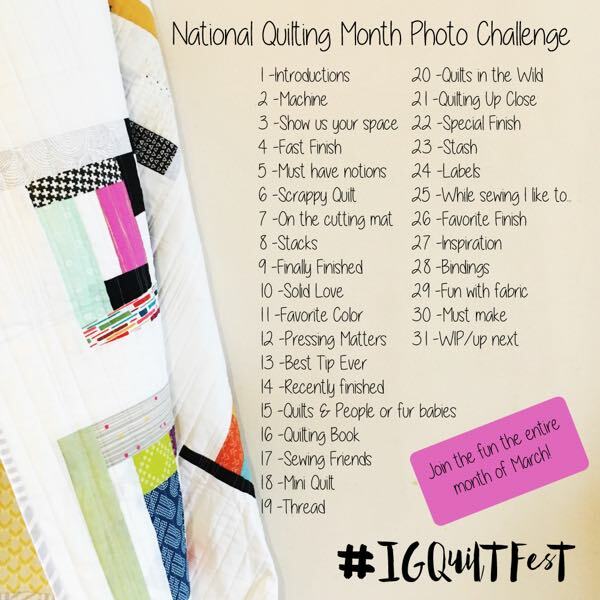 This is a great idea and what inspiring quilts we all get to see. Thanks for setting this up. I will keep an eye out for it next year too! What fun it was to go through the voting process – many tough choices! Amy, thanks again for putting this together. I’ve enjoyed entering my quilt and seeing what others have done! WOW!! I just returned from vacation and need some serious time to go through the entries. I am honored and amazed to be nominated in the best hand quilted category. Thank you Amy for putting together the festival. Just reading through the comments on my blog have really made me smile and have encouraged me to keep trying new ideas. Sorry to be a nag, but maybe I missed it.. are the winners posted somewhere? of clever work and reporting! Keep up the very good works guys I’ve incorporated you guys to my blogroll.